The use of wristwatches and wall clocks are no longer used for the development of iPhone and other mobile devices. Now the accessories which are related to the traditional clocks have also been embedded into iPhone. 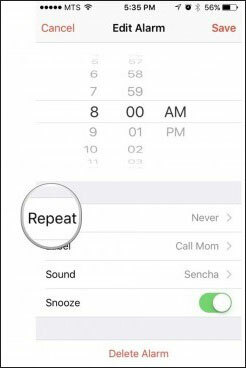 The alarm is also one of the features which have been added to the iPhones. The iPhone alarm not working issue is also faced when it comes to this iOS system. Regardless of the issue causing it there are several remedies. Before proceeding with any other process it is the first step which should be taken to ensure that the issue is never faced at all. Most of us set the alarm for our daily routines. Some do no set it that way. The fact is that these settings have a huge impact and cannot be ignored at all. 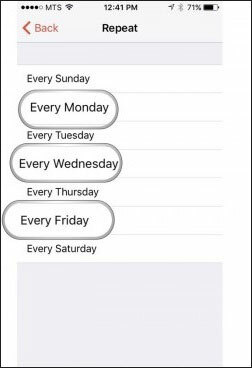 To resolve iPhone alarm not working issue it is advised to take a look that whether or not the alarm has been set for daily routine or you set it at the same time every day. The process which you need to follow is as under. Step 1: Open the clock app to start the process and then select an alarm. Your focus should be on repeat setting off the alarm. Step 2: Add the alarm and select repeat which is generally by default selected to NEVER. It is another treatment to fix iPhone alarm not working. It is a process and advice to resolve the issue under consideration. For many users, this has worked out to be very well and therefore it is highly regarded process. Following it has resolved the issue for many users over the course of time. Step 1: Tap the clock icon on the main interface of your iPhone. Tap the edit button in the upper left corner of the alarm. Step 2: Tap Delete to remove all the settings of the current alarm. 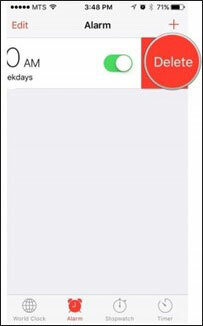 To resolve the issue restart the device and set up the alarm to fix iPhone alarm not working. 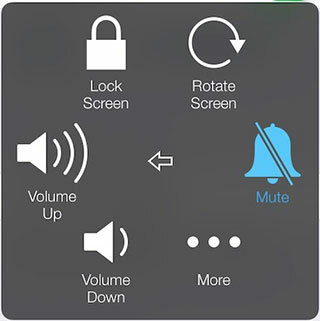 To resolve the issue it is highly advised to make sure that the volume of your iPhone is ON. To get the work done it is advised to check the hardware of your mobile phone. It is related to the button on all sides of your iPhone. To fix iPhone alarm not working the process is advisable as at times minor details are overseen. 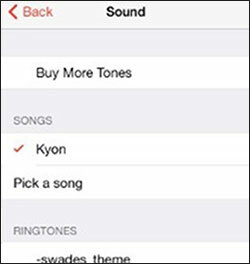 Within the sound section of your iPhone, there are several options. To resolve the problem it is highly advised to turn all the volumes to maximum levels to get the work done. Sometimes within the clock settings, the sound of the alarm is set to none. This means that you would be facing the iPhone alarm not working issue. To completely resolve it you need to check the sound settings. The process as follows is the one that needs to be followed to get the work done. 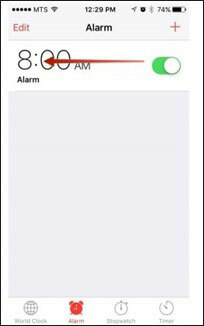 Once you access the clock app tap to edit the alarm. After that select the alarm tone which you need to set up. Once selected verify whether or not your alarm tone is working properly and that volume level is OK to finish the process. The third party alarm app might conflict with the current settings of your plan and may lead you to iPhone alarm not working issue. It is therefore advised to completely delete any third party alarm app that has been installed. To get the work done it is advised to follow the process as under. 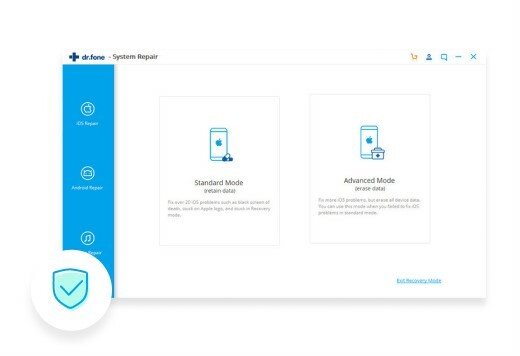 Step 1: Locate the third-party app on the main interface. Long hold it so that X sign appears in the upper left corner of it. Step 2: Tap the X icon to delete the app. This will probably fix iPhone alarm not working problem. The reason why iPhone alarm not working issue can be the iOS system problem. If there is something wrong with your iPhone system, it can cause more than alarm not working issue, but also makes iPhone can't turn on, white/black Apple logo, frozen iPhone, etc. iSkysoft Toolbox - iOS System Recovery is a program which is designed to fix iPhone or iPad system. By fixing iOS system with this software, your alarm is going to work again! The most common issues like stuck in DFU, recovery mode, white Apple logo and frozen status are all completely eliminated by this program. The program guarantees that there would be no data loss at all and the iDevice you own will be back to normal. The program has a huge database of firmware which means that your iDevice is bound to get back on track. This program completely eliminates and fix iPhone alarm not working issue to get you out of any trouble or tension. 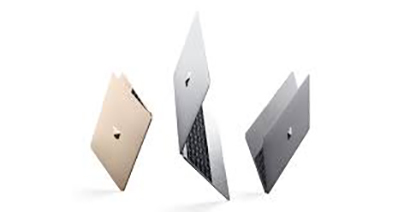 The program supports all iDevices which are developed and you will get the solution in the best possible manner. Step 1: Get iSkysoft Toolbox on your computer. 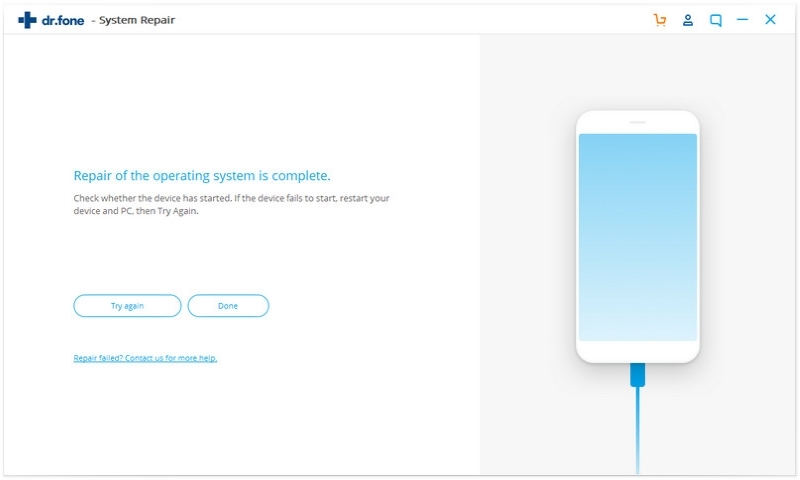 Connect the iPhone to the computer and click on "System Recovery". Next click "Start". Step 2: The program will detect the device model and firmware and will display the details for you. It is advised to verify the details and proceed to press the "Download" button. Step 3: Once the firmware download has been completed the program will start fixing the device on its own. Once the iPhone alarm not working issue is resolved you will get notified and the process ends here. It is another fixture which can be applied to get the work done. The fixture is simple and before its application, it is advised to back up all the data to avoid any mishap. The steps are simple to follow. The most important aspect is that this process should be applied as a last resort to get the work done. 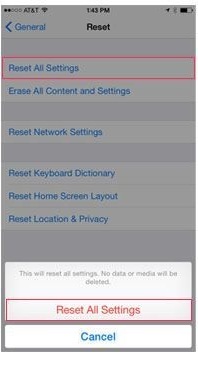 Head over to Settings > General to resolve iPhone alarm not working issue. Press reset on the next interface. Press Erase All Content and Settings on the next interface that appears to get going through the process. Confirm your choice on the next interface to proceed. Enter the passcode if required and your iPhone will reset resolving your iPhone alarm not working problem. This is another issue that the users don’t upgrade their iPhones and other iDevices. It is all because of the fact that the process is time-consuming. 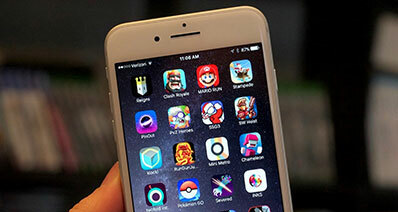 Updating iOS will get your issue resolved completely. The process is simple. Just click General > Software Update. Select download and install. If you have applied a passcode then you need to confirm it in the next step to get the work done and finish the process. It will completely resolve the iPhone alarm not working problem.